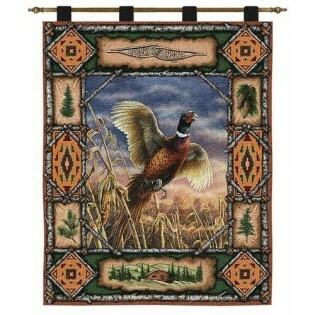 This lodge inspired wall tapestry has lovely warm shades of brown and green. 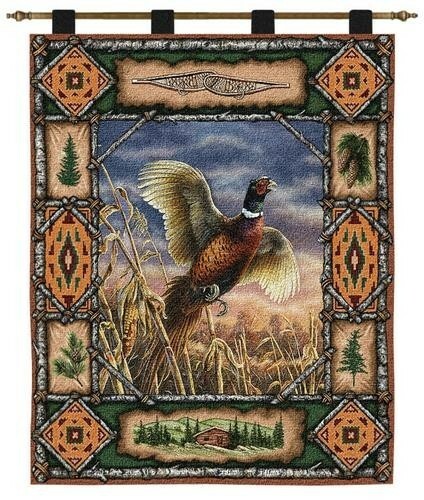 A pheasant flies gracefully over a corn field on this Pheasant Lodge Wall Hanging. It is surrounded by rustic images of cabins, pine cones and snow shoes flanked by a tree bark border.